A fantastic swim by Ashley Christopher! 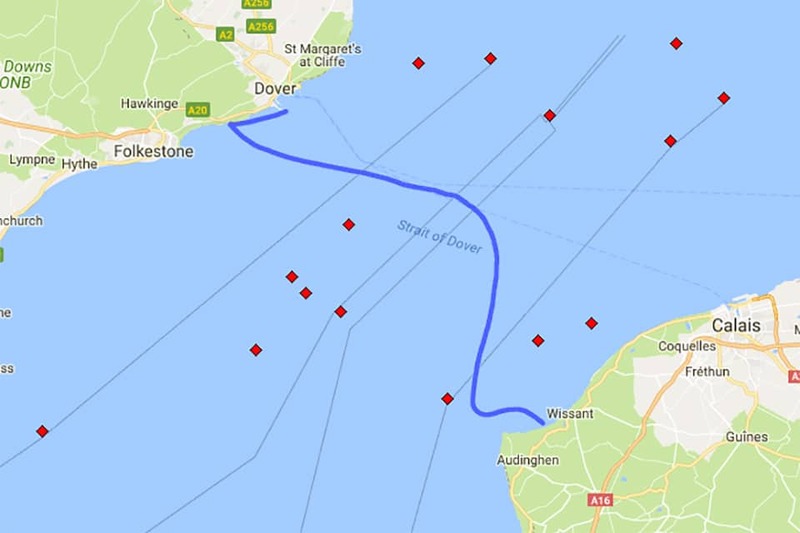 England to France in 13 hours 40 minutes in difficult conditions on 1st August 2017. It was a real pleasure and a privilege to be part of the crew on his solo English Channel Swim. Ashley's weather window was a short one and after receiving the call from pilot Stuart Gleeson we set off for Dover at around midnight. Meeting Stuart at the marina we boarded Sea Leopard and set off for the starting point just west of Dover at Samphire Hoe. Swim preparations got underway on board. After sun cream, it was my job to don the latex gloves and apply a liberal smothering of Vaseline to any part of the swimmer that may rub. This seemed to bring a smile to Ashley's face, which was slightly worrying, but I put it down to pre swim nerves. Final adjustments to goggles and cap and Ashley was ready to jump overboard to begin swimming in to the beach. After clearing the water the hooter sounded at 4:57am, signalling the start of his attempt. For almost the next 14 hours Ashley's world would be cold and consist of mainly the colour blue, punctuated every now and again by someone throwing a feed bottle at him and shouting words of encouragement that he probably wouldn't be able to hear. Alongside his pool training regime Ashley swam though the winter with friends at "Just Swim" in Southbourne. 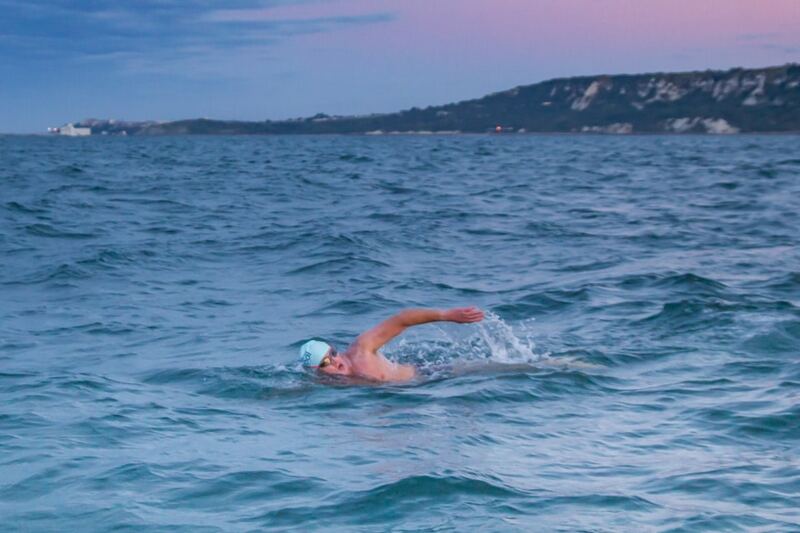 His winter swimming built up vital acclimatisation to the cold which enabled him to make an early start to long distance sea training with "Durley Sea Swims". Channel Swimming Association rules dictate that a crossing must be completed unaided wearing just a costume, hat and goggles. So no wetsuits and no touching the boat or another person until clear of the water in France. Swimming under these conditions and particularly coping with the cold and tides are what make the English Channel such a tough swim. As if this wasn't enough Ashley's shoulder began to hurt after around 8 hours meaning that he had to swim on in considerable pain before landing. 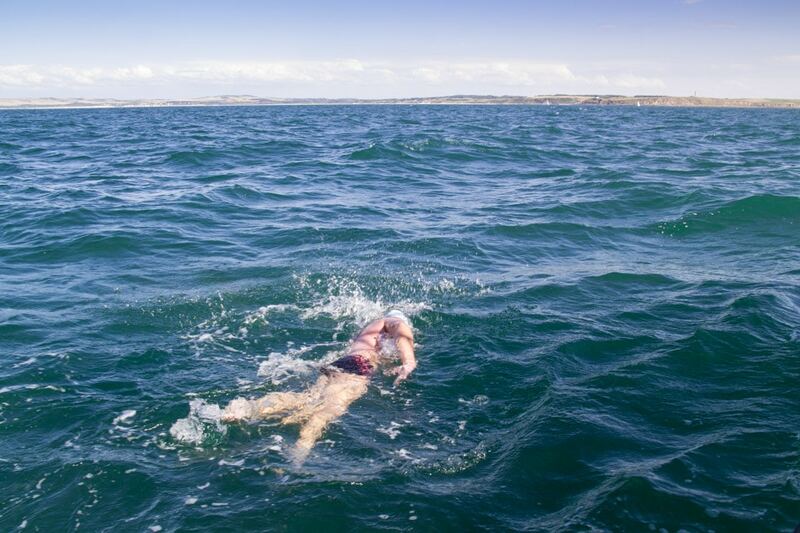 Ashley swam 22.5 miles from Samphire Hoe to a beach just west of Wissant. He covered a greater distance over the ground as he was moved sideways up and down the Straits of Dover by the tides and this accounts for the zig zagged shape of his track. 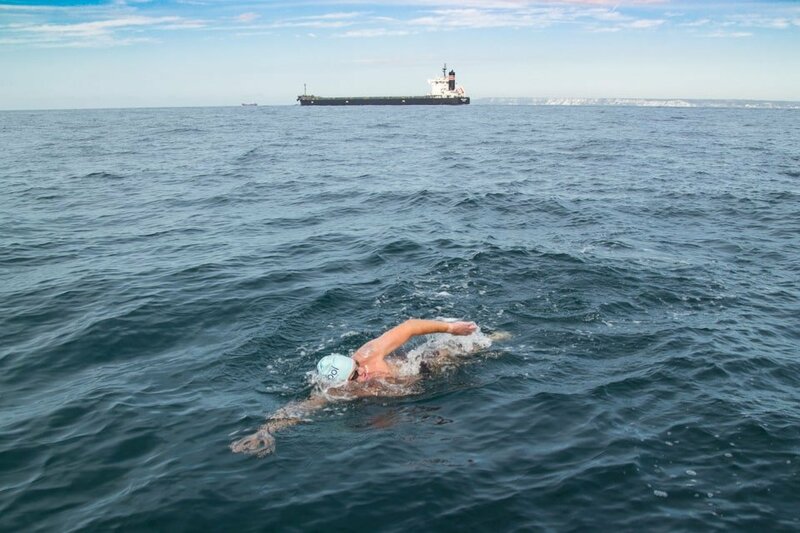 Most of his swim was fairly rough for swimming with none of the periods of flat calm flat water that everyone hopes for. Ashley was raising funds for Society of St James, a Hampshire-based homelessness charity who provide accommodation and support to over 2500 people each year. He also works for the charity and was hoping to raise over £3000. See his progress and sponsor him on his Just Giving page.